31 Mar 18:52 Hamilton tells his team on the radio how gutted he is for Leclerc, but they have loads of work to do regarding Ferrari's pace. 31 Mar 18:51 This is Hamilton's 74th win in F1. 8th Time in the #F1 history under the safety car. #BahrainGP ???? | #F1 ??? 31 Mar 18:48 Lewis Hamilton wins the race, Bottas in P2, and the first podium for Chares Leclerc in P3. 31 Mar 18:48 This will be the 8th time in F1 history that the race ends behind the safety car. 31 Mar 18:45 This will be the first time the race finishes behind the safety car since 2015 in China. 31 Mar 18:44 Carlos Sainz retires his second race of the season. 31 Mar 18:42 Ricciardo says his car cut out. :( Looks like both cars had the same problem at the exact same time. 31 Mar 18:41 Oh dear, both Renault cars off the track. All unlapping Leclerc#BahrainGP ???? | #F1 ??? 31 Mar 18:33 Leclerc is coasting in to corners and will have to keep the pace if he still wants to finish second. 31 Mar 18:33 Hamilton takes the lead of the race. Absolutely heartbreaking for Charles Leclerc in what would have been a beautiful race win. 31 Mar 18:30 Heartbreak for Leclerc. sounds like his battery power is completely gone and the turbo is going. 31 Mar 18:29 Leclerc asking what's happening but he is rather agitated. Leclrec:"There's something strange with the engine!" 31 Mar 18:27 Leclerc losing a lot of pace. 31 Mar 18:26 Vettel back in P5, but 26seconds behind Verstappen. 31 Mar 18:19 Gasly has pitted so Vettel could jump back to P5. 31 Mar 18:17 We're on lap 40. 17 more to go and the action is non-stop! 31 Mar 18:17 Vettel down in P9 after a 12second standstill in the pits. 31 Mar 18:16 The two Renaults touch! 31 Mar 18:15 Vettel's front wing also missing and he needs to box again. 31 Mar 18:14 Geez!!! Vettel spins out! 31 Mar 18:13 Vettel fights off Hamilton. 31 Mar 18:12 Leclerc struggling for grip. 31 Mar 18:09 Hamilton pits again. Leclerc has this one in control for now, eight seconds ahead of Vettel. Meanwhile Stroll unlaps himself from Verstappen, who doesn't tangle with the pink car as he did with Ocon in Brazil last year. Stroll starts to get blue flags but Veratppen pits anyway - and his stop is low. Verstappen pits ??? ?#BahrainGP ???? | #F1 ??? It's been a busy race for our pit crew as @Carlossainz55 comes in to switch to the Hard tyre. FINISH Well, we're just about done here from an absolutely crazy Bahrain Grand Prix. Catch your breath and join us again in China. See you then. FINISH Hamilton runs straight over to comfort Leclerc. Also Ricciardo is being looked at by the stewards for not re-attaching his steering wheel. FINISH P11 Giovinazzi, P12 Kvyat, P13 Magnussen, P14 Stroll, P15 Russell and P16 Kubica rounds out the finishers. Ricciardo, Hulkenberg, Sainz and Grosjean all retirees. FINISH P4 Verstappen, P5 Vettel, P6 Norris, P7, Raikkonen, P8 Gasly, P9 Albon and P10 Perez completes the points. Leclerc claims an extra point for fastest lap. FINISH Bottas completes the Mercedes 1-2. Poor Leclerc comes home P3, but that top-spot on the podium should have been his. FINISH Well, who would have predicted that, Lewis Hamilton wins the 2019 Bahrain Grand Prix! Lap 57 This one will finish behind the sc, a crumb of comfort and luck for Leclerc. Lap 56 Safety car is out, if we complete the race behind it, Leclerc's spot on the podium is saved. If not, who knows where he could end up. Lap 56 Carlos Sainz has retired. Lap 55 Hulkenberg suffers a huge mechanical failure, just seconds later Ricciardo has an electrical shut down, what a bizzare race! Lap 55 Both Renault's are out, what's gone on here? Lap 54 Bottas goes through with ease on the straight, P2 is his. It's a Mercedes 1-2. Lap 52 He's really struggling, Bottas is on his way, a 1-2 is near certain for Mercedes and Verstappen will probably take P3 to compound the misery. Lap 51 Leclerc is freaking out in the cockpit, you can't help but feel sorry for him. Lap 50 How a fantastic weekend has transcended into a horror show for Ferrari. Was this issue what they were protecting in Melbourne? Bottas is 24 seconds behind Leclerc, he may hang on to P2 with eight laps left. Lap 48 There we go, Hamilton takes the lead of the Bahrain Grand Prix. Lap 48 The turbo is gone, here comes Lewis. Lap 47 Ten laps to go, it's too long, Hamilton will catch him at this speed. Lap 46 The gap to Hamilton is being obliterated, he has major issues! Lap 46 Hang on! Leclerc says there is something "seriously wrong with the engine". Lap 45 Raikkonen now passes Ricciardo, those tyres are struggling. Lap 45 Gasly holds P10 and a vital point right now, but Albon isn't finished with him yet. Lap 45 Magic from Norris who takes P7 from Ricciardo into turn 1 - Hulkenberg could be next. Lap 44 Seb makes quick work of the midfield, P5 is now his. But, 26 seconds is the gap to Verstappen in P4, surely too much for the four-time World Champion. Lap 42 Leclerc has a ten-second lead over Hamilton - it's looking good for the pole sitter. Lap 41 P5 looks the best recovery Seb can make here. Lap 40 It was another unforced error for Vettel when under pressure to compete with Hamilton - not what the German needed with Leclerc running so smoothly in P1. Lap 40 Replays show him nearly collecting Russell as the front wing just exploded on that SF90. He comes back out in P9, disaster. Meanwhile the Renault's touch into turn 1. Lap 39 Wow! Hamilton is through on Vettel at turn 3 - the German tries to hit the throttle and loses it, around he goes. The front wing is gone and the tyres are shot, he limps back to the pits. Lap 38 New fastest lap of the race for Hamilton, he goes side-by-side with Vettel through the bends but Vettel fends him off. It's Hammer Time. Lap 37 In comes Leclerc, a 2.4s stop for him, he keeps hold of the lead. Lap 36 Vettel the first Ferrari man to pit again - no shock there, he needs to cover Hamilton, and it is very close, but the German stays ahead. Wow, Hamilton found serious pace on that outlap, good job Ferrari stopped when they did. Lap 35 Hamilton in and out with a mighty stop. He bolts on the medium tyres and comes out P4 behind Bottas - he will be relieved to get off those softs. Lap 35 Horner doesn't fancy Verstappen's chances of challenging Bottas. He says the Finn would have to suffer "serious deg" to bring them back into contention. Lap 34 In comes Hulkenberg, he rejoins on the mediums in P11. Verstappen also pits for the medium compound and swiftly dispatches of Raikkonen. Lap 32 Verstappen laps Stroll, but the Canadian fights back into turn 1 - oh no, not again. Max has learned not to fight those pink cars. Lap 31 Ricciardo up to P11 as he sails beyond Magnussen into turn 1. DRS is creating a lot of overtakes today. Lap 30 New fastest lap for Leclerc - he is on for 26 points, but there is a long way to go. Lap 30 A lonely race for Bottas so far, the Australian GP winner is ten seconds behind his team-mate in P4. Lap 28 A stronger showing for Kubica so far, only two seconds adrift in his tussle with Russell as it stands. Lap 26 Norris moves up into P7. A lovely move from the youngster on veteran Raikkonen into turn 1. Lap 26 Sainz is in again, on go the rarely-seen hard compound. Lap 26 Solid effort from the Hulk so far, up 11 places to occupy P6. Lap 25 Leclerc has an eight second lead at the front right now. Lap 24 Vettel almost gifts the place back as he locks up into turn 1, but he sees off the five-time champ's advances. Lap 23 Hamilton struggles out of turn 1, 2 falls apart and Vettel makes it through at 3. Ferrari restore their 1-2. Lap 22 Hamilton says he is in "serious trouble" with the tyres. Vettel has latched right on to the Mercedes driver - those softs are not performing and the Brit appears a sitting duck here for Seb. Lap 22 Now we have a brief pause in the chaos, here is the running order - P1 Leclerc, P2 Hamilton, P3 Vettel, P4 Bottas, P5 Verstappen, P6 Ricciardo, P7 Hulkenberg, P8 Raikkonen, P9 Norris, P10 Perez, P11 Gasly, P12 Albon, P13 Magnussen, P14 Giovinazzi, P15 Kvyat, P16 Kubica, P17 Russell, P18 Stroll and P19 Sainz. Lap 20 Magnussen has been told to take it nice and steady on the mediums to make it until the end - the speed has deserted them and this could be the Dane's only shot at points. Lap 19 A 5 second time penalty for Kvyat for speeding in the pit lane. Grosjean retires following that damage he suffered during the Stroll clash at the start. Lap 18 Bottas, Verstappen and the Ferraris are running the mediums in this second stint, Hamilton is on the softs to clarify that for you. Lap 17 Giovinazzi is unsurprisingly under investigation for that coming together with Kvyat. Lap 16 Hamilton takes P2 from Ricciardo - how the Aussie wishes he was in that fight. Danny Ric needs to stop soon, he is losing a lot of time. Lap 16 Hamilton is on the softs but both Ferraris have gone for the mediums - can the Scuderia get to the end on these? The reigning champ will certainly have to stop again. Lap 15 Yes it will! The undercut works and Hamilton is now de facto P2. Lap 15 Well that didn't last long - the power of DRS is very extreme as Bottas gets Verstappen back. In comes Vettel, will that undercut work? Lap 14 Verstappen had made it passed Bottas! Leclerc and Hamilton pit and rejoin in front of them. Lap 13 Giovinazzi may find himself in trouble for that one, he clipped Kvyat and sent him around. Lap 13 Hamilton has taken significant time out of Vettel over the last three laps - meanwhile Kvyat has gone for a spin but he recovers. Lap 12 No further action after the Verstappen/Sainz incident. Lap 12 Raikkonen, Gasly and Albon all come in and bolt on another set of softs - Albon has jumped Gasly. The pair are trading P16 for fun, allowing Magnussen to pit and emerge just in front of them. Lap 10 He started P6 but Magnussen is struggling. Norris takes P10 away from him and Gasly is almost going into the rear of that Haas such is the speed difference. Lap 9 Bottas has dropped off in P4 but Hamilton is certainly keeping the Ferrari boys in clear view. Lap 8 Sainz has come back out of the pits on the mediums and straight away sets a new fastest lap - such a shame that clash was, there is serious pace in that McLaren. Lap 8 Gasly is sinking. Norris makes it through into P11 and now both Toro Rosso's are all over the Frenchman. Lap 6 He's gaining, gaining, gaining and through into turn 1. Vettel tries to come back into turn 3 but Leclerc is leading again. Lap 5 "I'm quicker guys" - a clear message there from Leclerc to Ferrari. Lap 5 Meanwhile Leclerc has set a new fastest lap and is right on Vettel's tail, he has closed a near two-second gap in the blink of an eye. Lap 4 Sainz in P6 is all over Verstappen, that Renault engine is mighty, but no the two have collided, Sainz has damage at the right front, sparks are flying everywhere! Lap 4 Stroll and Grosjean have been into the pits, looks like they came into some trouble at the start. Lap 3 Verstappen is still P5 and leads a huge midfield train, Mercedes will look to pull away from that fight as soon as possible. Lap 2 Leclerc takes P2 back into turn 2, as Hamilton plunges down the hill and passes his team-mate, Bottas just like that is back down to P4. Lap 1 Vettel takes the lead into turn 1, Bottas is also through on Leclerc at turn 3 and moves into P2. Lap 1 Away we go! 18:13 Here they come down the main straight, Leclerc slots into his starting spot. 18:11 Leclerc leads us off on the formation lap. Everyone is on the softs except for Kubica who will do his first stint on the yellow-walled medium tyre. 18:09 It really is blowing a gale out there - could make things interesting on the opening lap. 18:07 The first night race of the season is almost here - air temp a cool 28c. 18:02 "Verstappen is a born racer, he wants to get stuck in, and he has nothing to lose starting from P5" says Red Bull principal Christian Horner. 18:00 The grid is starting to clear, lights out in about 10 mins! 17:58 "When nothing happens to us, it shows we can perform normally," says Sainz discussing the pace of his McLaren. 17:55 Vettel and Bottas have a sprint on to try and make it out of their garages for the national anthem - they get there just in time. 17:51 Ross Brawn predicts "high degradation" and an "exciting race". He also believes "the wind will catch people out". 17:49 Leclerc: "The start will be very important, but it's going to be a very difficult race. There is a lot of wind at the exit of turn 4." 17:47 Any points today would be very much welcomed by Gasly, he has described his RB15 as "unpredictable". P13 isn't a great place to go from if you aren't at one with the car. 17:43 And what can McLaren do? Both cars made it into Q3 for the first time since 2017 yesterday - they will surely be eyeing a solid double-points finish. 17:39 Grosjean will hope for a good start so he can get up to his team-mate. Verstappen took P5 from Magnussen by just 0.005s, leading the Dutchman to confess that Haas have done a "good job" while Red Bull "haven't". 17:34 Haas principal Guenther Steiner wasn't a happy bunny either, calling the penalty point "completely inappropriate". 17:28 Norris and Grosjean would then proceed to gang up on Vettel, putting the blame firmly on his shoulders after he overtook Grosjean at the final corner, forcing the Frenchman to back right off to salvage his upcoming flying lap. 17:23 It was quite the Saturday for Grosjean. He had qualified P8, but a three-place grid penalty and a point on his license was the punishment for blocking Norris in Q1. 17:18 Romain Grosjean is P11 on the grid, we will get to him in a minute. Alexander Albon P12, Pierre Gasly P13, Sergio Perez P14, Daniil Kvyat P15, Antonio Giovinazzi P16, Nico Hulkenberg P17, Lance Stroll P18, George Russell P19 and Robert Kubica P20 completes the starting order. 17:13 Valtteri Bottas was right with Hamilton and will go from P4. Max Verstappen meanwhile overcame a difficult qualifying session and will start P5. Kevin Magnussen P6, Carlos Sainz P7, Kimi Raikkonen P8, Lando Norris P9 and Daniel Ricciardo complete the top 10. 17:05 Charles Leclerc is on pole for this one, setting a new lap record in Bahrain to take it - will Ferrari's brightest prospect turn that into his first Formula 1 victory. His team-mate Sebastian Vettel starts just behind him in P2, with the Mercedes of Lewis Hamilton lurking in P3. 17:00 Welcome to coverage of the Bahrain Grand Prix, the race is just over an hour away. All times are local. 7:07 So, Mercedes were hiding pace after all, it got them close, but not quite close enough. Can they catch Leclerc when it counts tomorrow? And can Verstappen put his talk of good long-run pace into practice? See you then guys. 7:06 P11 Ricciardo, P12 Albon, P13 Gasly, P14 Perez, P15 Kvyat, P16 Giovinazzi, P17 Hulkenberg, P18 Stroll, P19 Russell and P20 Kubica rounds up the grid for tomorrows race. 7:04 P5 Verstappen, P6 Magnussen, P7 Sainz, P8 Grosjean, P9 Raikkonen and P10 Norris completes the top ten. 7:02 Vettel in P2, Hamilton P3 and Bottas P4 are all separated by less than a tenth. 7:01 No, Leclerc takes pole for the Bahrain Grand Prix, he becomes the second-youngest pole sitter in Formula 1 history and sets a new all-time track record. 7:00 Vettel P2! Can Mercedes produce some magic? 6:59 Vettel has just one shot at this, he is a fraction off Leclerc early in the lap. 6:58 The drivers flood back out for their last shots at glory in this shootout - 2 mins to go. 6:56 Magnussen with a stunning lap for P4 at the moment, only eight tenths shy of Leclerc - his team-mate Grosjean is almost a second back. 6:54 Mercedes have turned the pace right up, but Leclerc is still on provisional pole as he matches Vettel's all time record for pole at this track last season - a 1:27.958. Hamilton in P2 is just two tenths adrift. 6:51 Christian Horner says Verstappen's car is fine, despite it being off the pace. He does have just one set of new softs for this session though. 6:48 Leclerc took pole on his Formula 2 debut in Bahrain 2017, can he repeat it in the big leagues two years on? Let's find out, the light goes green! 6:44 In position order, Leclerc, Vettel, Hamilton, Bottas, Magnussen, Sainz, Verstappen, Grosjean, Norris and Raikkonen will go for pole. But really only two names have a shot, and that's the Ferrari boys. 6:42 P15 Kvyat, P14 Perez, P13 Gasly, P12 Albon and P11 Ricciardo are the names to miss out on the top-ten shootout. 6:40 Vettel goes P2, but three tenths off his team-mate. 6:39 Bottas is out on new softs as well, Hamilton is staying put. Nobody other than Vettel will catch Leclerc, but again the battle for safety is tight. 6:38 If Vettel wants a fourth pole in Bahrain, he will have to take the hit now on these new softs. He sets off an very steady out lap. 6:37 Red Bull are well off it right now. Verstappen is behind Magnussen in P5. Gasly joins Ricciardo, Kvyat, Albon and Perez in the danger zone. 6:35 Vettel tells Ferrari it was the "worst spot ever" to put him on the track, he will have to go again with four minutes to go in Q2. 6:33 A 1:28.046 from Leclerc, over a second quicker than Vettel and half a second clear of the Mercedes pair. Well, time to pack up and head for home guys at this point. 6:32 Here we go, Ferrari are quick. 6:31 Bottas puts the Mercedes in P1 early with a 1:28.830, Hamilton soon moves him down to P2. 6:29 The entire paddock shudders as Leclerc returns to the track, armed with the softs. 6:26 Fernando Alonso is on the McLaren pit wall, the last time that happened, Stoffel Vandoorne scored points for the team. Right now their current duo look plenty fast enough to be in that conversation. 6:25 Right, Q2 time now. 6:24 Ferrari well ahead of course, but P4 for Norris in that session, wow! 6:21 P20 Kubica, P19 Russell, P18 Stroll, P17 Hulkenberg and P16 Giovinazzi are the drivers who drop out after Q1. Kimi Raikkonen and Pierre Gasly just survive! 6:20 Told you it would all change, Hulkenberg is out! Despite being top six material throughout practice. 6:18 Right now everyone is set to improve their times. 6:17 Verstappen isn't going out, remember Gasly in Australia? Red Bull are running that risk again. 6:17 Get ready for a frenzy of laps here, pretty much anybody not in a Ferrari could be eliminated with a minute to go. 6:16 Hamilton improves to P3, but on the same soft tyres, he is over seven tenths adrift of Leclerc and losing time in every sector. 6:15 Sainz in P4 for McLaren right now is a very impressive sight. Norris' first attack on the softs was as previously mentioned ruined, so a lot more to come from the youngster. 6:12 As it stands both Williams cars are unsurprisingly at the bottom, with Kubica leading Russell. Sergio Perez, Antonio Giovinazzi and Daniil Kvyat also in the elimination zone. 6:11 Verstappen can't clear the McLaren of Sainz or the Haas of Magnussen on the same soft compound, P6 for him right now. 6:10 The Mercedes pair go to the top before Leclerc goes a second clear of Valtteri Bottas. Vettel slots into P2 a few tenths behind. 6:09 Norris goes P1 despite almost going into the back of a very slow Grosjean at the last turn. That could have been a very nasty accident. Surely a penalty coming there. 6:07 Everyone is running the softs it seems. 6:06 They all start filing out now. 6:05 Out comes Lando Norris. 6:04 Albon's 1:31.125 is the first time of the session, Russell crosses the line 1.2s down. 6:01 Both Williams' and Toro Rosso's Alexander Albon head straight out, all are on the softs. 6:00 There's the green light, away we go! 5:55 About five mins to go until Q1 begins. Let's hope Mercedes let loose, rather than this being a foregone conclusion. 5:50 Once again FP3 served up a stacked midfield pack. With Red Bull out of sync and down the order, Romain Grosjean claimed P5 in his Haas, yet it was only just over a tenth back to Carlos Sainz in P9. 5:45 Max Verstappen says the Ferrari duo are "way too quick", but he believes Red Bull are right with Mercedes on long runs, so we will probably have to wait until tomorrow to see that play out. 5:43 Mercedes have work to do - it was a huge gap again, Lewis Hamilton in P3 was the closest challenger yet over seven tenths adrift. 5:40 But at least it appears there is a battle there - Charles Leclerc topped FP3 with a 1:29.569, putting him 0.169s clear of team-mate Sebastian Vettel. 5:35 Can anyone catch these Ferraris? It isn't looking likely after they locked out the top two again in FP3. 5:30 Welcome to our coverage of qualifying for the Bahrain Grand Prix. All times are local. 4:03 That's it for now, join us in two hours for qualifying for the Bahrain Grand Prix. Cheers. 4:02 FP3 concludes with another P1 for Leclerc and another Ferrari 1-2 as Vettel is second, 0.169s down. Hamilton is third in the Mercedes some seven-tenths down on the Monaco driver. 3:57 Traffic from Stroll and Kvyat costs Bottas and he backs off. Hulkenberg moves up to fourth. He is seven-tenths faster than Ricciardo. Verstappen stays P6. 3:56 Lots of changes to the timesheets as everyone gets in one last hot hot lap. Grosjean goes third, Kyvat is up to ninth, and others are having to fight their way through traffic. Ricciardo stays 15th after getting it a bit wrong into the final corner. 3:54 An impressive lap from Sainz as he jumps up to fourth place, 1.4s down on Leclerc's best. Norris pushes him down one place as he goes third, 0.01s faster than his team-mate but two places ahead. Raikkonen is up to eighth place. 3:53 Turn 1 is proving a bit tricky with Norris and Magnussen getting it wrong one after the other. 3:49 Magnussen, Sainz and Norris - the latter two being watched over by James Key - head out onto the track. 3:46 Only Kyvat is out at the moment as the rest of the drivers have returned to the pits for fresh tyres and one final run at P1... and now Kyvat pits as well and silence descends. 3:45 With 15 minutes remaining we have a Ferrari 1-2. Can anyone beat them? 3:42 But here comes Vettel... he doesn't match Leclerc in the first sector, or the second. Vettel goes second, 0.169s down. 3:41 Ferrari have left the pits with fresh soft tyres on both cars. Leclerc goes purple in the first sector and again in the second. He crosses the line with a 1:29.569. That's P1, safely. 3:39 Stroll tries to race Hamilton down the pits but it is clear the last thing the Mercedes wants is to be behind the Racing Point car. 3:37 In today's episode of Williams Watch, it is yet another bad day for the Grove team. Russell is 3.2s down in 19th place, 1.1s slower than Stroll in 18th place, while Kubica is a further 1.2s behind his team-mate. 3:33 It is a Max attack from Verstappen and he puts in a purple sector time in the final sector to go quickest with a 1:30.959. 3:29 No worries for Hamilton as he goes quickest with a 1:31.016. That puts him 0.095s up on Bottas with Hulkneberg third. 3:26 Hamilton is on brand new soft tyres and finds himself in a Racing Point traffic in the form of Stroll. That ruined his lap before it even begun. So he's now out there on a second warm up lap. 3:25 News in is that Kubica has a new floor on his Williams. The team found that his car was producing less downforce than Russell's car on Friday and believe it was because of a floor issue. He is now running the Aus GP spec floor. 3:21 First Mercedes on the board as Bottas does a 1:31.169 on fresh soft tyres. The Finn is also having to fight his car with the crosswinds and tailwinds. 3:20 Raikkonen returns to the pits but only to pull back out onto the track after laying down some rubber at his pit box. 3:16 The Aussie is not happy with his RS19. After five years with Red Bull, it is a big change for Ricciardo to now be dealing with Renault and their car. So far he's flummoxed. 3:15 Ricciardo and the two Alfa Romeos - Giovinazzi and Raikkonen - have joined the ontrack action. Raikkonen does a 1:31.7 and Giovinazzi does a 1:32.1. Here comes Dany Ric... it is a 1:32.107 and puts him P4 behind Raikkonen. 3:10 Leclerc goes second, 0.139s down on his team-mate. Ferrari is the only team to have set times so far as others are avoiding the heat. 3:08 Vettel is out on track using a used set of soft tyres, a 1:31.6 for the German driver after a bit of an off at Turn 13. 3:07 And we have a brave marshal doing the 100m dash to grab the piece of debris that Giovinazzi rode over earlier. Track is clear. 3:06 Ouch, Williams can't catch a break. Russell, out on an installation lap, has told Williams that his DRS isn't working. 3:03 Grosjean is back in the pits and not entirely happy with his Haas. A bit of a brake balance problem for the Frenchman. 3:02 Norris and Giovinazzi are the first men out with the latter seeming to run over a piece of debris on the track. Alfa Romeo need as much track time as possible after water leaks halted both cars on Friday. 3:00 Pit lane is green-lighted and FP3 is underway at the Sakhir circuit. 2:58 The drivers have hard, medium and soft to use which for this race are made up of Pirellis three hardest compounds - C1 to C3. 2:53 It is rather warm out there again today with the air temperature 26'C and the track up to 40. But as with yesterday, the wind is blowing so the drivers will have contend with that. 2:46 Both Ricciardo and Kubica have spoken of their surprise at being so far behind their respective team-mates. Hulkenberg was 1.2s up on Ricciardo and Kubica lost to Russell by a full second. They'll be looking to find some form this session before heading into qualifying. 2:42 The bottom half: 11 Carlos Sainz McLaren 1.346s S; 12 Pierre Gasly Red Bull 1.583s S; 13 Alex Albon Toro Rosso 1.612s S; 14 Sergio Perez Racing Point 1.870s S; 15 Daniel Ricciardo Renault 2.002s S; 16 Kimi Raikkonen Alfa Romeo Racing 2.242s M; 17 Lance Stroll Racing Point 2.283s S; 18 Antonio Giovinazzi Alfa Romeo Racing 2.912s S; 19 George Russell Williams 3.058s S; 20 Robert Kubica Williams 4.086 S.
2:41 FP2's top ten: 1 Sebastian Vettel Ferrari 1:28.846 S; 2 Charles Leclerc Ferrari 0.035s S; 3 Lewis Hamilton Mercedes 0.603s S; 4 Valtteri Bottas Mercedes 0.711s S; 5 Nico Hulkenberg Renault 0.823s S; 6 Max Verstappen Red Bull 0.879s S; 7 Kevin Magnussen Haas 1.154s S; 8 Lando Norris McLaren 1.171s S; 9 Romain Grosjean Haas 1.222s S; 10 Daniil Kvyat Toro Rosso 1.247s S.
2:39 Such was Ferrari's improved pace compared to Australia that Lewis Hamilton reckons a "completely different" Ferrari have arrived in Bahrain. 2:34 Yesterday's practices belonged to Ferrari with Charles Leclerc quickest in the daylight and Sebastian Vettel taking over as the sun set. The Scuderia will be hoping to continue that run today, however, never discount Mercedes - especially when qualifying party modes come into play. 2:30 Good day and welcome back to the Sakhir circuit for the third and final practice session for the Bahrain GP weekend. 19:36 Before we get to qualifying, the teams still have one more free practice session to get their cars in the zone, join us tomorrow for that. 19:35 Plenty of factors still to play out tomorrow. Mercedes have more pace to come; Red Bull missed the optimum window on their quali runs. And, there is even a threat of rain in the desert tomorrow. 19:33 And the rest: P11 Sainz, P12 Gasly, P13 Albon, P14 Perez, P15 Ricciardo, P16 Raikkonen, P17 Stroll, P18 Giovinazzi, P19 Russell and P20 Kubica. 19:32 P4 Bottas, P5 Hulkenberg, P6 Verstappen, P7 Magnussen, P8 Norris, P9 Grosjean and P10 Kvyat round out the top ten. 19:30 The chequered flag flies. Vettel ends the session in P1 fractions ahead of team-mate Leclerc. The gap is six tenths back to Hamilton - will Mercedes have a response tomorrow? 19:28 Horner believes Red Bull may have an advantage for qualifying after saving their softs compared to Ferrari who went for fast times in this session. 19:24 Only 0.056s separates Raikkonen and Giovinazzi. That must feel great for the rookie. 19:23 Super-human effort from Alfa to make it back out on track. 19:20 10 minutes to go. 19:17 Lap times are in the mid 1:30's across the field right now. Race-sim is very much the focus. 19:13 P11 Sainz, P12 Gasly, P13 Albon, P14 Perez, P15 Ricciardo (yes, P15), P16 Raikkonen, P17 Stroll, P18 Giovinazzi, P19 Russell and P20 Kubica completes the order. 19:11 Let's give you the top 10 in full with 20 minutes to go: P1 Vettel, P2 Leclerc, P3 Hamilton, P4 Bottas, P5 Hulkenberg, P6 Verstappen, P7 Magnussen, P8 Norris, P9 Grosjean and P10 Kvyat. 19:09 Vettel is the latest name to spin at the exit of turn 2 - the rear of the SF90 steps out under acceleration. 19:07 Hamilton then pits for a practice stop, on go the mediums. 19:06 Hamilton almost took a Toro Rosso front wing with him out of turn 1. A close shave there. 19:02 With the Alfa's seemingly done for the day, Russell is now just a tenth off Giovinazzi in P18. A bit artificial but could Williams lift themselves off the bottom? 19:00 Water leaks on both cars confirm Alfa. 18:57 Most of the drivers are out on track getting stuck into their longer runs now. 18:54 Mercedes aren't taking the carrot dangled by Ferrari. They are focusing on their own prep and don't look interested in further quali-sim runs. 18:53 Alfa Romeo don't think they will get either driver back out in FP2. It looks like major hydraulic issues. 18:52 Both Ferraris have bolted on new softs and are going again. Vettel improves slightly to stay P1 with a 1:28.846. Leclerc is only 0.035s behind. 18:46 Lando Norris is going strong again, he splits the Haas' in P8 - the position he qualified in Melbourne. 18:45 The Red Bull's can't seem to improve after ditching the mediums for the softs. Gasly is down in P12! 18:43 Racing Point are working hard to fix Lance Stroll's car after he damaged the floor, most likely over the kerbs, but he is missing out on this vital quali-sim time. 18:40 Right now we are seeing what testing told us - a half-second gap for Ferrari over the rest of the field. 18:39 Hulkenberg has pumped in an impressive 1:29.669 on the softs for P5. Verstappen can't quite beat that at the moment - he goes P6. 18:36 Hamilton is half a second slower than Vettel with his first attempt on the softs. 18:35 Bottas has taken notice as he bolts after a slow out-lap, but the result is his W10 sliding all over in turns 2 and 3. The tyres are really slippery when coming out of the pits. 18:32 Leclerc goes 0.141s shy of his team-mate, but the softs appear to be done after one lap. Pressure is on then for quali tomorrow to get it right. 18:30 No further action for Hulkenberg and Giovinazzi over their FP1 incident. 18:29 Vettel is the first into the 1:28's; a 1:28.942. He is on the soft compound now though. 18:27 A few running differently out there. Grosjean and Ricciardo have set their times on the hards, while the Williams pair are running the softs. Unsurprisingly, they occupy the last four places on the leader-board right now. 18:25 Verstappen only 0.171s shy of the pace in P4, Vettel and Gasly a few tenths further back. 18:21 Bottas, Leclerc and Hamilton the current top three, all setting their times on the mediums. 18:19 P3 for Hamilton, a scruffy end to that lap costing him. 18:18 Christian Horner thinks that the third DRS zone could "make the racing really interesting" and that "you don't necessarily want to be the car ahead." 18:15 Bottas moves into P1 with his first quick lap; a 1:30.124 from the winner in Australia. 18:14 He slots into P2 after a slight hold up by his team-mate and a failed tow attempt with a Haas. 18:12 Verstappen sets off on his first flyer, armed with the mediums. 18:11 Vettel's 1:30.610 sets an early marker, Leclerc swiftly goes four tenths faster. Both Ferraris running the mediums currently. 18:09 Kimi Raikkonen spins it at turn 2 just after leaving the pits, perhaps those tyres weren't quite warm enough. 18:06 Vettel goes out on the yellow-walled mediums. 18:05 Finally, we have action as Daniel Ricciardo heads out on the hard compound. 18:02 No rush guys, nobody has made a break for the track just yet. 18:00 The green light appears, away we go for FP2. 17:58 We've gone past sunset in Sakhir, but the track temp still stands at a pleasant 31c, a 10c drop from FP1. This will give the teams their first taste of the conditions they will face tomorrow and in the race. 17:54 It won't shock you to hear that Williams were at the back, but with 0.7s between Lance Stroll in P18 and Robert Kubica in P20, they have found a bit of speed it seems. 17:49 Nico Hulkenberg and Antonio Giovinazzi were summoned by the stewards after their coming together at turn 7 in FP1, still no word on their decision but it's safe to say the pair will look to stay clear of each other in FP2. 17:44 Continuing the team-by-team trend, Max Verstappen claimed P5 with Pierre Gasly right on his tail in P6. Just how close are the Red Bull's to their rivals? FP2 should give us some ideas. 17:39 Valtteri Bottas ended the session seven tenths shy of P2 Vettel, while Lewis Hamilton was a second off the pace. Expect the Mercs to crank it up in the upcoming session. 17:35 The Ferrari duo were out in front earlier in FP1, with Charles Leclerc ahead of Sebastian Vettel. 17:30 Hello and welcome back to Bahrain for the second practice session of the day. FP2 begins in 30 minutes. All times are local. 17:31 Welcome back everyone, FP2 for the Bahrain Grand Prix is just under thirty minutes away. All times are local. 15:31 Leclerc finishes the session P1 with a 1:30.354 while Vettel is 0.263s down on his team-mate. Bottas in third is 0.974s off the pace. 15:29 Grosjean is slowly touring back to the pits with a broken front wing, he broke it on a kerb. Meanwhile Giovinazzi and Hulkenberg have traded paint. Neither is impressed with the other. 15:27 Unless someone pulls a rabbit from a hat, Ferrari will finish this session with a very comfortably 1--2. 15:24 Spin from a Williams and it is Russell who got it wrong at at the exit of Turn 2 and spun it into 3. 15:23 Raikkonen complains that a "Toro Rosso just pushed him completely" as he puts all four wheels off the track. The driver is Albon and it looks as if he may have been unsighted. 15:22 Sainz is putting in laps in a rather bright yellow McLaren. Nope, they haven't changed their livery, it is just covered in flo-vis paint as the team runs aerodynamic tests. 15:19 Bottas and Hamilton are both back on the track with latter trying out his set-up changes. 15:16 Raikkonen has broken into the top ten going P10 on his hot lap. The Finn, now driving for Alfa Romeo, is 2.031s slower than his Ferrari replacement, Leclerc. 15:13 Ouch, Stroll has done a lap time and Williams are last. Russell is 0.7s slower than P18 with Kubica a further 0.08s down. 15:11 More changes going on over at Mercedes as Hamilton's W10 is being fitted with a new rear wing and a few set up changes as he is not happy with the balance. 15:08 Verstappen's RB15 is undergoing some serious set up changes and is currently without its floor. He could be sidelined for a while. 15:07 If you are wondering where Williams are, well that would be last if it weren't for Stroll, who isstill having his car repaired. Russell's best is a 1:34.1 and Kubica has done a 1:34.2. 15:04 The timesheets read: Ferrari, Ferrari, Mercedes, Mercedes, Red Bull, Red Bull and Sainz in the McLaren is best of the rest ahead of Hulkenberg, Kvyat and Ricciardo. 15:01 Leclerc is a full second quicker than the quickest W10, Bottas in third place. 15:00 Vettel is on a hot one, up in the first sector, a bit of traffic in the second but he still goes fastest. And it is a 1:30.617 for the German! His team-mate Leclerc is even quicker, three-tenths up in the second sector. Leclerc grabs P1 with a 1:30.354. 14:59 Hamilton goes purple in the second sector but then runs it a bit wide at Turn 14/15. He is three-tenths down on his team-mate. 14:58 Hamilton winds up to start a hot lap on his soft tyres. He is currently P6 and 1.1s down on Bottas. Norris is up to seventh in the McLaren ahead of Giovinazzi in the Alfa Romeo. 14:55 Bottas goes purple in the first two sectors but has a small moment with the rear end of his car in the final sector. It is a 1:31.3 for the Finn and that's P1 - for now. 14:53 A bit of work needed on Stroll's car after his earlier off. New wing, new floor, money, money, money! 14:50 Gasly moves up from P14 to P3, a 1:31.8 for the Frenchman. 14:48 Gasly joins his team-mate out on track, also opting for the soft tyres. 14:47 It was a gentle outlap on the soft tyres for Verstappen who now puts the power down to start a hot lap. He is 0.1s slower than Vettel in the first sector, stays about the same through the second and Verstappen goes quickest by 0.07s. 14:45 Verstappen breaks the silence as he heads out on a new set of Pirellis. Meanwhile Hamilton's W10 is undergoing a pretty big set up change. 14:41 Gasly pulls into the pits complaining about the engine braking of his RB15. Says he is struggling to stick it to the track. 14:40 It's the magic 40-minute mark when the drivers all disappear from the track. They have to as F1 rules state they must hand this first set of tyres back to Pirelli after 40 minutes. It was a rule brought in to increase the number of laps done at the start of FP1. 14:37 If you haven't heard yet, Ricciardo has a new chassis for this weekend while Sainz has a new ICE, turbo, MGU-H and MGU-K.
14:33 A cleaner lap and Leclerc is up to second, 0.137s down on Vettel. Bottas is 0.6s off the pace as Vettel has also gone faster, a 1:31.747. 14:32 Five laps in and with a dusty track, Leclerc joins the list of those struggling to keep control of the back end of the car. 14:30 Half an hour in and Sebastian Vettel is leading with a 1:32.299 ahead of Bottas, Charles Leclerc, Versatppen, Hamilton and Alexander Albon. 14:27 A problem for Lance Stroll as he has touched a bit too much of the astroturf and found himself off the track. He has a major flat-spot so that's a waste of a set of tyres. Looks like he got the barrier as well as the front wing end plates are damaged. 14:24 Mercedes have ventured out with Hamilton up to second, 0.385s down on Verstappen. Bottas crosses the line next and it is P1 for the Australian GP winner, a 1:32.340. 14:21 Verstappen lowers the benchmark to a 1:32.9 with Sainz, 2.4s down. Robert Kubica and Lando Norris have joined action. 14:18 Verstappen posts the first time of the session; a 1:33.085. The fastest lap in FP1 last season was a 1:31.060 from Daniel Ricciardo in the Red Bull. 14:17 He's joined by Sainz. 14:14 Verstappen is fired up and pulls out of the Red Bull garage. Practicing a stop at the end of a dusty pit lane, he's off! 14:06 Verstappen's problem seems to have been solved and Red Bull send him out for an exploratory lap. 14:05 Only Verstappen and the two Mercedes drivers have yet to head out. But, in keeping with their normal practice, Mercedes will probably head out in a few minutes and jump straight into their work loads. 14:04 One by one the drivers venture out for their installation laps but don't expect to see Verstappen in the next few minutes. Red Bull discovered a hydraulic leak in the power steering of his RB15. 14:01 Antonio Giovinazzi leads out Lando Norris and Romain Grosjean. Carlos Sainz is also out on the track. 13:53 The air temperature is up to 28'C with the track a sweltering 50! 13:50 This weekend's race should offer another peak at F1's midfield battle with McLaren saying Haas may be as much as "half a second" ahead of the chasing pack. Fair to say Renault all th way down to Alfa Romeo are in the points hunt. The only team that is not: Williams. 13:42 Although Sebastian Vettel is the twice defending champion in Bahrain with back-to-back wins in 2017 and 2018, Bottas was only 0.699s down on the Ferrari driver last season. With a third DRS zone for this year's race, fans can hope for another tense battle. 13:38 The big question this weekend is can Ferrari bounce back? Mercedes reckon Ferrari got their set-up wrong while Red Bull believe their SF90 has a cooling issue. If it is the latter, Ferrari could be in a lot of trouble this weekend. 13:35 Mercedes claimed top honours at the opening race of the season, Australia, with Lewis Hamilton taking pole and Valtteri Bottas leading him home on the Sunday in a Mercedes 1-2. Red Bull's Max Verstappen finished third ahead of the Ferraris. 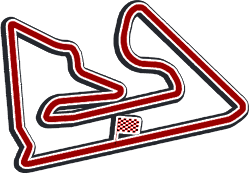 13:30 Good day and welcome to the Sakhir circuit, home of the Bahrain Grand Prix. First practice begins in 30 minutes.